The word “Dinosaur” is not a new thing to people and there always exist a huge craze for this gigantic animal from kids to senior citizens. Before discussing about this reality dinosaur, just recollect the characters of TV dinosaur Barney and Jar Jar Binks of star wars fame. We admired those goofy characters only in TV, but now, yep! It’s true; scientists have found the fossil skeleton that resembles almost like star wars starrers. Past 50 years ago, paleontologists’ had unearthed bone fragments of a vicious dinosaur in Mongolia with killer claws. Recently scientists have found the rest of fossils and gave a new description for it- highly cited as goofy and weird. The dinosaur measured about 16 feet tall and 36 feet long with hump like sail on its back and duckbill on its head. Some of the interesting facts had been revealed about this beast in a paper released on Wednesday by the journal nature. The distinguishing features of this dinosaur included peculiar hands with tufts of feathers, absence of teeth, had big tongue that created suction for vacuuming up food. 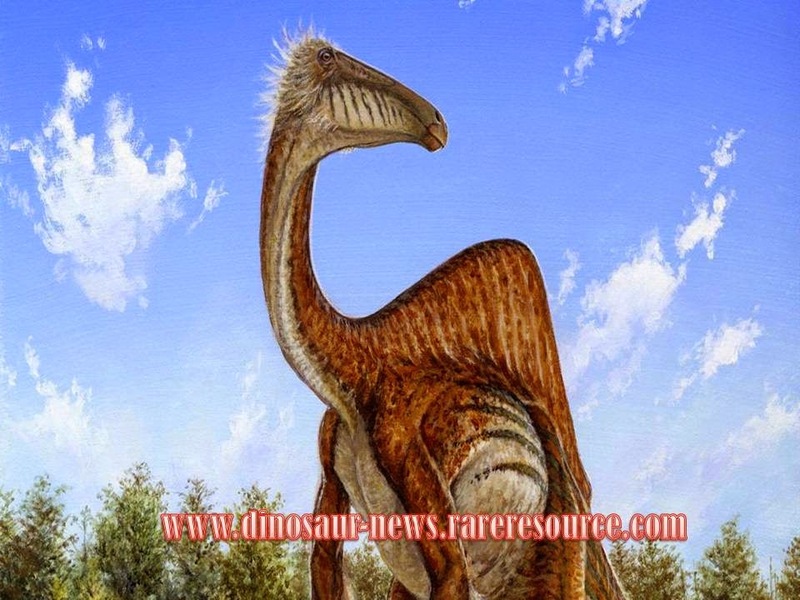 As the dinosaur possessed the features matching with ostrich it is believed that the dinosaur would have been the transitional species of ostrich like dinosaur often referred as ostrich dinosaurs. Let’s wait for still more new discovery of species that probably could match with other TV show characters like Yoshi and Littlefoot.